Justice League, the first team-up of Wonder Woman, Batman, and an array of DC Comics Expanded Universe heroes ready for their own moment, comes in just under and hour. But that doesn't make it immune to the superhero movie trend of mid- and post-credits scenes. Marvel's recent Thor: Ragnarok post-credits and Guardians of the Galaxy post-credits both pointed to the direction for future films and allowed characters joke with each other after the "end" of the proper movie. Justice League takes a similar approach, dishing out comic-book fan service to ensure audiences leave in high spirits. There's a lot to unpack -- minus exactly how Steppenwolf is doing back on his home planet -- so prior viewing of the actual movie is advised for all spoilerphobes. The mid-credits sequence for Justice League has a light tone and a callback to Ezra Miller's Barry Allen not understanding the concept of brunch. As teased in the movie, The Flash and Superman are immediate rivals in the miles-per-hour category, and by the mid-credits scene, are apparently going to race. In the comics, squaring off for a lap around the world is something of a tradition for various speedsters and the Man of Steel. The first time The Flash and Superman tested their relative speed was Superman #199. Both heroes accepted a challenge from the Secretary-General of the United Nations, who planned a charity race to raise money for aid programs to third-world nations. The book could have had a dedicated to a message of charity, but nah, crime syndicates also bet large sums of money on the race. Beyond official obstacles set up around the world for the race, the criminals also step in, replacing both Flash and Superman with clones that are rigged to lose. It's overly complicated, but after the original heroes escape and defeat the criminals, they decide to tie so none of the side bets go through. This does not make it into the Justice League mid-credits scene. Superman raced Barry Allen two more times in Flash #175 (where they tied again) and World's Finest #198-199, where Barry finally wins, although it's not really a "race" -- Barry and Superman are literally running around galaxies when the official speedster suggests it should be a race since they never figured out who was faster. A ton of stuff happens, like Superman encountering a red sun that depowers him, and an interruption by Zod, so even though Barry declares "I won" at the end. We don't see any of the race seen in the mid-credits sequence in Justice League, but hopefully they settle up by Justice League, or Barry might pull this stunt halfway through the next big setpiece. 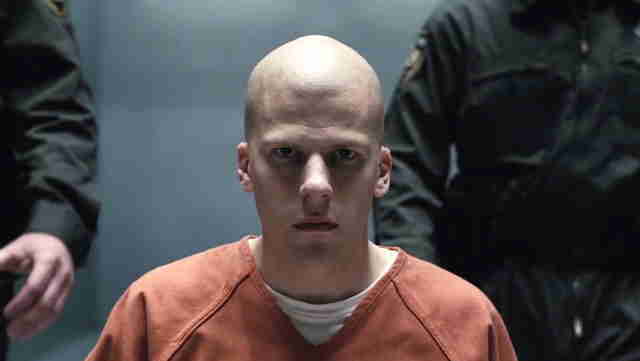 Lex Luthor, Deathstroke, and a "league of their own"
The final Justice League post-credits scene reveals that Jesse Eisenberg's Lex Luthor has broken out of whatever prison Batman threw him in at the end of Batman v Superman. (Was it Arkham? Let's say it was Arkham.) Now he's cruising in a fancy boat. In a less fancy sub-boat comes Deathstroke, portrayed by Joe Manganiello, originally cast in the role so he could appear as a villain opposite Ben Affleck in an untitled, standalone Batman film (though changing circumstances with that movie, which has handed directing duties over from Affleck to Matt Reeves, have made the Bat-star's star status unclear). Lex suggests that bad guys like he and Deathstroke start a "league of their own," which isn't a baseball team of women, unfortunately. There are a bunch of evil teams in the DC Comics Universe, but the one portrayed most often in other media is known as the Legion of Doom. The Legion wasn't created on the pages of the comics, instead devised as an adversary for Hanna Barbera's animated take of the Justice League, Challenge of the Super Friends. They appear fully formed, and it isn't until a later episode that it's explained Lex Luthor brought together the twelve most dangerous villains to fight the Super Friends. The Legion of Doom then got adapted into the comics and has made appearances in other media since. The only problem with the Legion of Doom, if we're going to get nitpicky, is that Deathstroke isn't a member of any of the most famous incarnations. Also, Luthor isn't pitching a "Legion of their own." Which brings us to the Injustice League, which is as confusing as most comic book continuity stories can be. The first Injustice League showed up in a 1989 run of the Justice League International comic book, and included Cluemaster, Major Disaster, Clock King, Big Sir, Multi-Man, and the Mighty Bruce as card-carrying members. Justice League International was a jokey book, so the the Injustice League was purposefully derivative and always up to unsuccessful schemes. In 2000, the Injustice League history was changed through retroactive continuity so the 1989 team was actually a second, lesser team; the "original" Injustice League was 19 villains united under an intergalactic entity named "Agamemno." The bored alien possessed Lex Luthor and got him to assemble the team, which did include Deathstroke. Since 2000, the Injustice League has been replicated on the small screen and in the pages of the comics (including the popular reboot event New 52) where the incarnations have included Luthor and Deathstroke. Some even include The Joker as a founding member. The Injustice League sounds like a much more likely direction, should Warner Bros decide to continue down the current Justice League continuity. If the company doesn't, well, we got a successful Easter egg. And Lex got... a cool boat. What's the Justice League sequel look like? Unlike Batman v Superman, the first Justice League movie doesn't directly point to its next installment. The next movies that actually have dates attached to them (for now) are Aquaman, arriving December 21, 2018, Shazam!, starring starring Dwayne Johnson and Zachary Levi and due in April 2019, Wonder Woman 2 later in 2019, and the standalone Cyborg and Green Lantern Corps in 2020. There are a bunch of other DC movies in development, either continually rumored or reworking their original premises to fit the DCEU, including a solo Batman movie, Flashpoint (i.e. the Flash movie), a movie based on the Batman character Nightwing from The LEGO Batman Movie director Chris McKay, and a Batgirl movie from director Joss Whedon. None of the films are locked into a release date. Just where the Injustice League (likely) and/or a Flash and Superman race (unlikely) could become consequential is a guessing game. 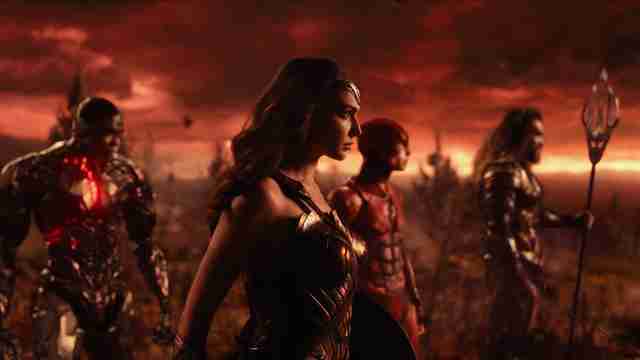 Aquaman will probably be isolated with director James Wan steering clear of Justice League's troubled production, nobody really knows anything about Shazam!, so... how does Justice League prep us for Wonder Woman 2? With Patty Jenkins and Gal Godot returning for the sequel, another period piece that Jenkins hinted at during the press tour for the first film, all signs also point to autonomy for the follow-up. That means almost zero connection to the battle with Steppenwolf. One of the development projects seems like it could have a tenuous connection: Flashpoint. 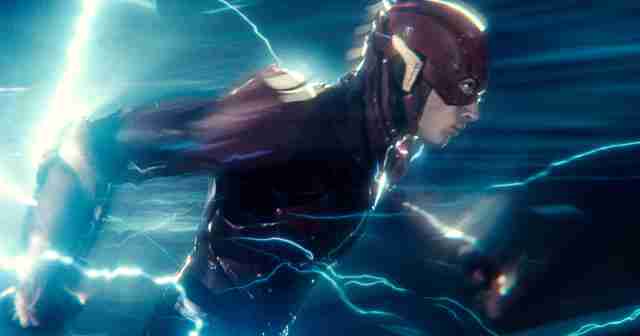 Although the solo Flash movie has had a hard time keeping a director (Dope director Rick Famuyiwa was previously on board, but as of publication, the movie doesn't have anyone running the show), the buzz is Warner Bros thinks Flash is stand out character. Back in 2016, it was rumored that Cyborg was also in the movie. This September, a Deadline story casually dropped that Gal Godot would be in the Flash movie. 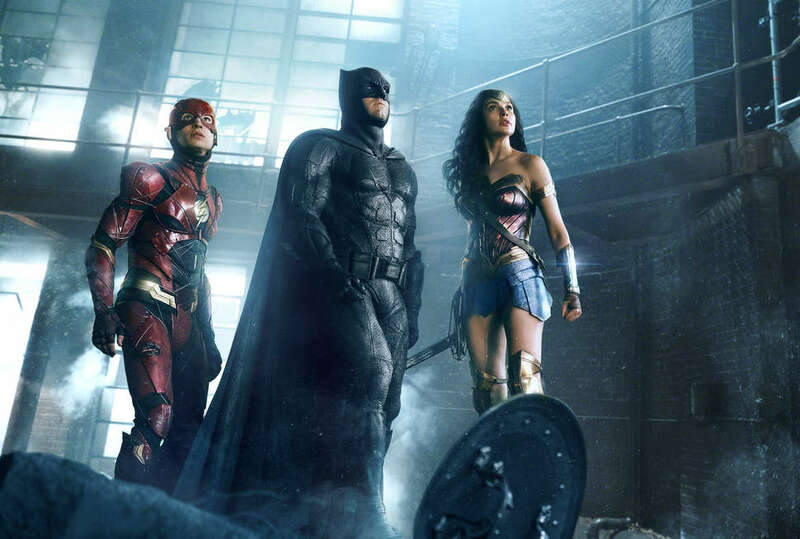 In November, EW got a quote from Geoff Johns, head of DC, on Flashpoint: “There’s elements in it that we’re going to be playing into that we couldn’t do anywhere else...the scale of it, the Batman story of it all.” Batman, Wonder Woman, Cyborg, The Flash, all together in one movie? Sounds like Flashpoint is the next likely, ahem, point, to meet the League. But no one knows when Deathstroke will be back, except maybe Jon Manganiello, who is too busy stripping in convenience stores to let anyone in on it. Dave Gonzales is a pop-culture writer and podcaster. He recently came into possession of a green glowing ring. Follow him @da7e.